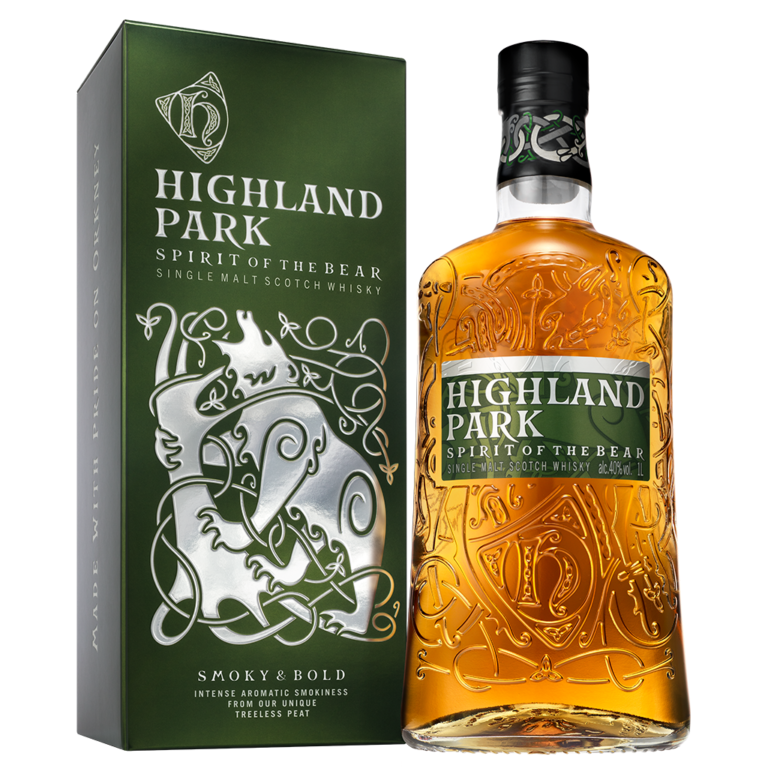 Highland Park's Spirit of the Bear is the new entry-level whisky for Global Travel Retail - duty-free - shops. The Orkney single malt matured in sherry-seasoned American oak casks and was bottled at 40% ABV. The packaging states Smoky & Bold. Talk about speaking clearly to your customers. 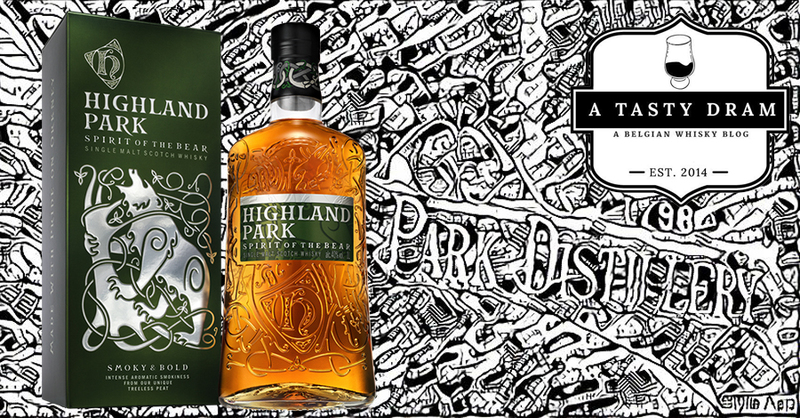 The new distinctive graphic style and packaging - that started with Valkyrie - draws its inspiration from Viking lore. Bears were seen as independent and resilient woodland beasts and revered by the men from the north. 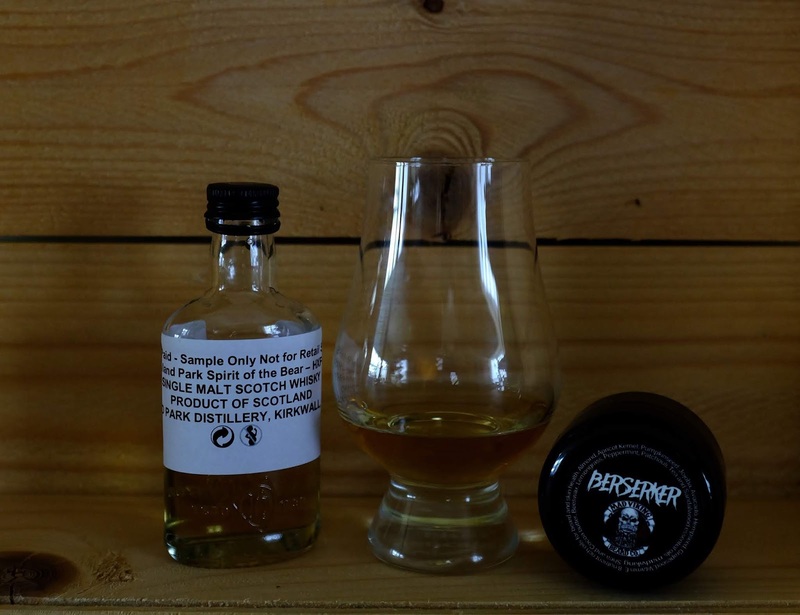 Let's have a look at the new travel retail whisky. Colour: Pale yellow. White port. Fatty legs on the glass. Nose: Smoky. Orange and salted caramel. A balanced mix of sweet fruity and salty aromas. Raisin biscuits, stem ginger, smoked pepper and clove. Some citrus and slightly metallic notes. Marzipan and vanilla. With water: Smoke and metal. Earthy aromas and sweet spices. Taste: Fairly light mouthfeel. Honey, orange, coffee, smoke, hay and black pepper. With water: Orange and gingerbread. Roasted chestnuts. Finish: Smoke, ginger and leather coat the tongue. Fairly short and crisp. A very straightforward Highland Park. The refill casks are showcasing the spirit. It's a flawless whisky with a decent balance. Maybe a bit thin due to the minimum alcohol by volume but keep in mind this is an entry level whisky. A lovely daily sipper during your holidays (or when you get back to work after the holidays).